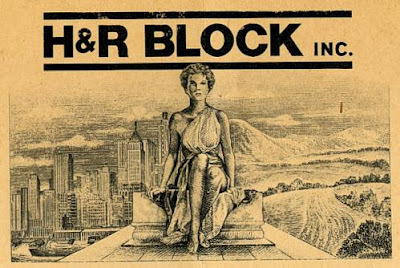 H & R Block's talk to the box campaign? The latest from Chuck McKay's blog, Fishing For Customers, tackles a subject that is taught in advertising circles. There are various ways to get a customer to buy including emphasizing how wonderful their life will be with this purchase, or the opposite approach, which is to emphasize fear of what will happen if you don't buy. These approaches are common to all sales. 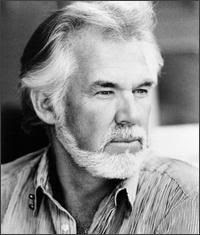 Kenny Rogers has said he sings songs that men wish they could sing to their women, and that women want to hear from their men. A number of years ago I audited a UCLA Extension songwriting class from my friend, Grammy nominee Barry Kaye. Barry made a point during a song critique that I've never forgotten: people identify with songs and singers. No singer will ever sing a song that paints the protagonist as a wimp. Even more importantly, no listener will identify with such a character. His advice to aspiring songwriters? Never write a song that doesn't make the singer an admirable character. As you may suspect, aspiring advertising copywriters can learn from Barry's comment. Never write an ad that doesn't make your purchaser an admirable character. In general, I like the H&R Block “I've got people” campaign (“I can deduct my gauplattlerhosen?”), but right now there is no way I'd buy that particular software package. I've been soured by the advertising. The ad opens with a man sitting in front of his computer as his wife enters the picture. I have in the past acquired tax software packages and calculated my own return. If I didn't already have a relationship with an amazing accountant, I might consider purchasing H&R Block's software. At least, I might have before I saw this ad. And as we get closer to tax time and it airs more frequently I'm finding that it's grating on me. First, I'm annoyed by the wife. Second, I'm even more annoyed by the husband who allows himself to be scolded as if he were a 3 year old caught raiding the cookie jar. By extension, I've become negative on the product. Perhaps I'm not a member of the audience this ad is designed to persuade, and my opinion is not relevant. And, whether it is or not, you should never let one person's reaction to any ad influence your decision to run it. But I suspect that my reaction to the characters in that ad may be a common one. Be careful how you portray the people who may buy what you've got for sale. As Barry Kaye pointed out, nobody identifies with a loser. Chuck McKay is a marketing consultant who works with professional practices and owner operated businesses. Questions about writing effective advertising copy may be directed to ChuckMcKay@ChuckMcKayOnLine.com. Scott: I agree with Chuck on this ad. I've seen it a few times, and it's equally grating and off-putting every time. For me, the worst part is that this type of ad could be very effective, if it accentuates the benefits of having human beings with tax expertise at your disposal. Not all things should be do-it-yourself, in other words. Instead, they went for what they thought was a cheap laugh and instead alienate a lot of the people they want to purchase their product/service. I used to do this type of ad for a transmission shop in Detroit where a customer (Mr. Whimpy) was constantly being taken advantage of by a dishonest repair shop (Mr. Shifty). It worked as PART of an overall campaign on the radio, because we used humor and also took time to build the image of the shop we were advertising as an honest trustworthy shop. Too many times however, something is missing in the campaign and the advertising falls flat. Enough with the cutesy cell phone ring tones! Laugh about paying your Taxes? Got 5 minutes & 6 seconds to watch a video? Just what is "Value" to YOUR customers? When is a brand bad?